Scourer, also named scourer ball, cleaning ball, cleaning products, scrubber, mesh scourer,spiral scourer, kitchen cleaning scourer, kitchen scourer, cleaning scourer, etc. 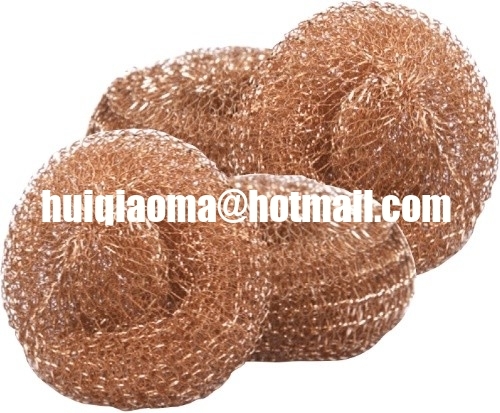 Copper mesh scourer quickly removes cooked on food & grease. Perfect for cleaning pots, oven racks, grills and all tough jobs requiring a highly abrasive material. Always use while wet. Rinse clean after every use & rest on non-metal surface. Copper scourer has better cleaning effect than usual scourers.